The silver coins in the America the Beautiful series celebrate the natural beauty and history of every state in America by focusing on their national parks. Five new America the Beautiful silver coin designs are released every year with a new national park featured on the reverse. America the Beautiful silver coins are produced by the Philadelphia Mint and are a gorgeous alternative to American Silver Eagles for silver investors and collectors. All America the Beautiful silver coins contain 5 oz. of .999 pure silver. Each one has a face value of a quarter dollar and the face depicts President George Washington, as designed by John Flanagan in 1932. 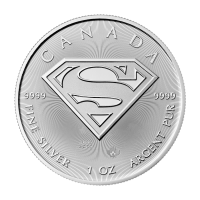 Not only are they a convenient way to buy silver bullion in large quantities, their annual designs are highly anticipated among silver coin collectors. At Silver Gold Bull, you can buy silver coins from the America the Beautiful series including 2015 Bombay Hook Silver Coins, 2017 Ellis Island Silver Coins, 2017 George Rogers Clark Silver Coins, 2015 Saratoga National Historic Park Silver Coins, 2011 Olympic National Park Silver Coins, and 2011 Glacier National Park Silver Coins. Check back for availability as new America the Beautiful silver coins are released. The ever changing designs of the America the Beautiful series make it highly sought after. Investors and collectors alike buy silver coins like the ATB silver coins for their artistry and the beautiful parks they represent, not to mention their pure silver bullion content. The price of silver coins like these is determined by the price of silver as well as their numismatic value. The numismatic value of collectible silver coins can be unpredictable, as you can’t predict the desires of future silver coin collectors. But if you buy silver bullion coins, you always have the price of silver backing up your investment. The ATB silver coins series was first launched in 2010, based on the success of the 50 State Quarters program. Congress authorized the America the Beautiful silver coin series in 2008 and the first five coins were released to the public in 2010. Since then, silver coin collectors have eagerly awaited the chance to buy silver coins from the ATB series. The design of ATB silver coins is an involved process. First, the governor of each state is asked to submit four possible locations to become the design on the reverse, when the Secretary of the Treasury decides. The design is then discussed by the state governor, the Treasury, the U.S. Commission of Fine Arts, and the Citizens Coinage Advisory Committee. If you’re ready to buy silver coins from the ATB series, there’s no better silver dealer than Silver Gold Bull. Buy silver coins or silver bars worth $500 or more and you qualify for free silver bullion shipping straight to your home or your preferred address. The packages we send are discrete and fully insured. Enjoy the lowest prices on silver and the stunning designs of America the Beautiful silver coins.